In the very early days, the magazine was strongly focused on visitors, with photographs and features about honeymooners, information about where visitors stayed and how they spent their holidays. Two years on Richardson approached a young Welshman with an offer to edit The Bermudian. Ronald “Ronnie” Williams would go on to be the editor for over 25 years and under his guidance the magazine became a polished reflection of Bermuda to the outside world, appealing largely to American readers who were visiting Bermuda as a tourist destination in growing numbers. 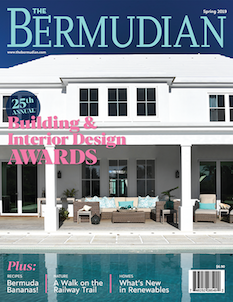 A strong local Bermudian readership also developed over the years thanks to coverage of local events, Island architecture, homes, history, as well as in-depth features on issues of interest to local readers. 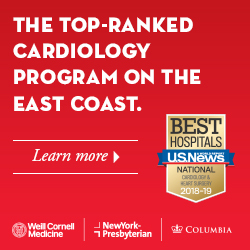 The magazine became the unofficial record of society functions, and its Afternoon & Evening feature remains today one of the most popular sections in the magazine. 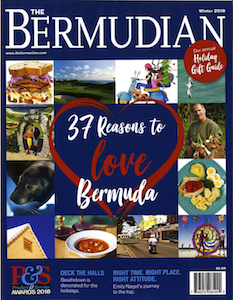 The Bermudian has generated a loyal and avid readership and has even maintained a reputation as a collector’s item; indeed some readers own every issue of the magazine since its inception. In the 80’s a quarterly business section was introduced, profiling the Island’s burgeoning international insurance and banking sectors. This section, called Focus on Business, eventually spun off as a separate magazine called The Bermudian Business in April 1996. 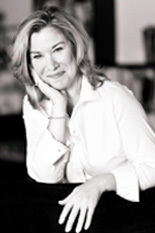 The current Editor/Publisher is Tina Stevenson who has been at the helm since 1999 as publisher and took over the editorship in 2003. We are the member of the Bermuda Media Council. Please read the code of practice here.